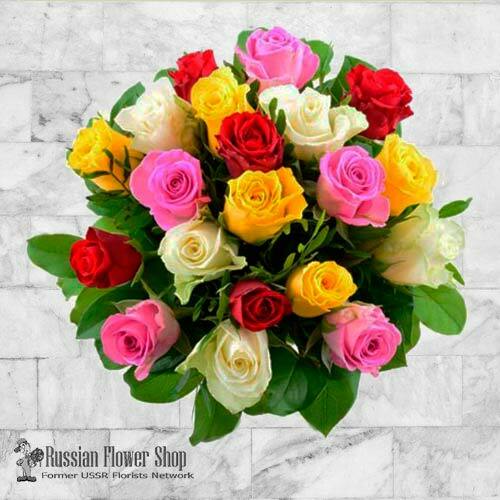 Bright rainbow bouquet with 21 mixed roses and greenery. When you order bouquets, they will be produced as closely as possible to the picture. Please remember that each bouquet is hand made. So no two arrangements are exactly alike and color and/or variety substitutions of flowers and containers may be necessary depending upon availability and season.